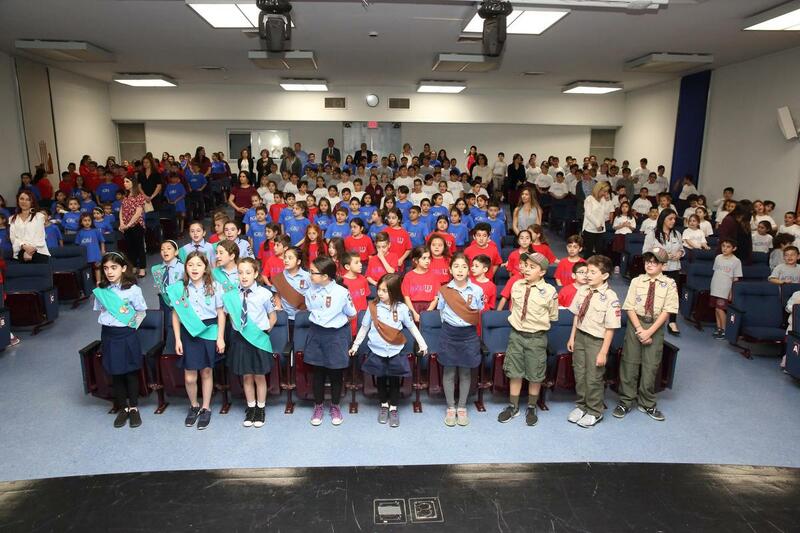 AGBU Manoogian-Demirdjian School and AGBU Vatche and Tamar Manoukian School came together on Thursday, April 11, 2019 to celebrate the 113th anniversary of the founding of AGBU! AGBU officially celebrates the 113th anniversary of its founding on April 15th. To celebrate the occasion the two AGBU school's of Southern California came together on the AGBU MDS's campus for fantastic school wide event! 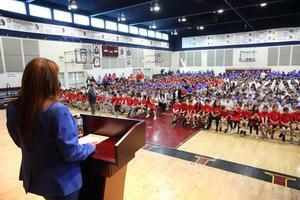 The day began with an opening ceremony in the Nazarian gymnasium with over 1,200 students, teachers, staff, and parents in attendance. 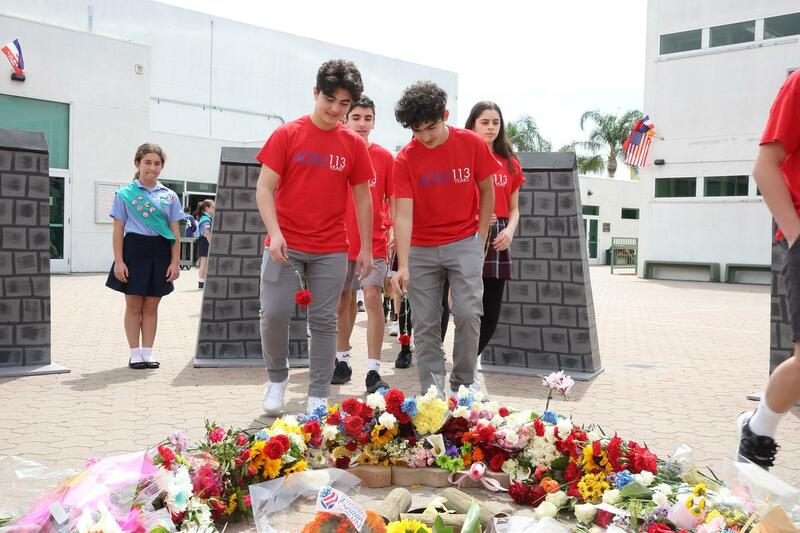 Members of the board of both schools as well as of AGBU's Western District were there in show of support of the days events. Following the opening ceremony in the gymnasium all of the students laid flowers at the the miniature Tsiternakaberd Monument and held a moment of silence to honor the lives lost during the Genocide of 1915. 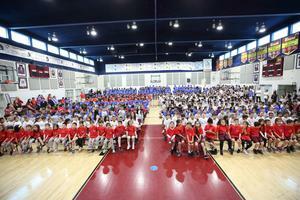 Also in attendance were Archpriest Fr. 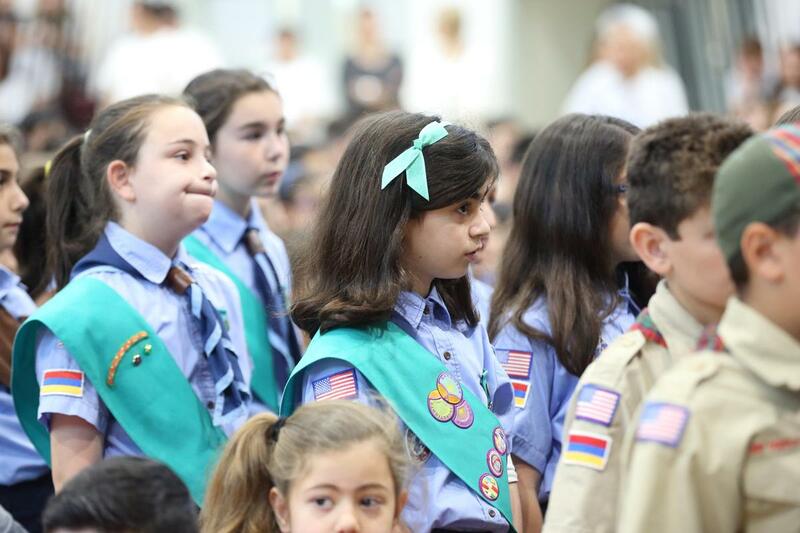 Shnork Demirdjian and the Diocesan Primate His Eminence Archbishop Hovnan Derderian who encouraged the students to always uphold their Christian faith and to hold the legacy of AGBU in their hearts. 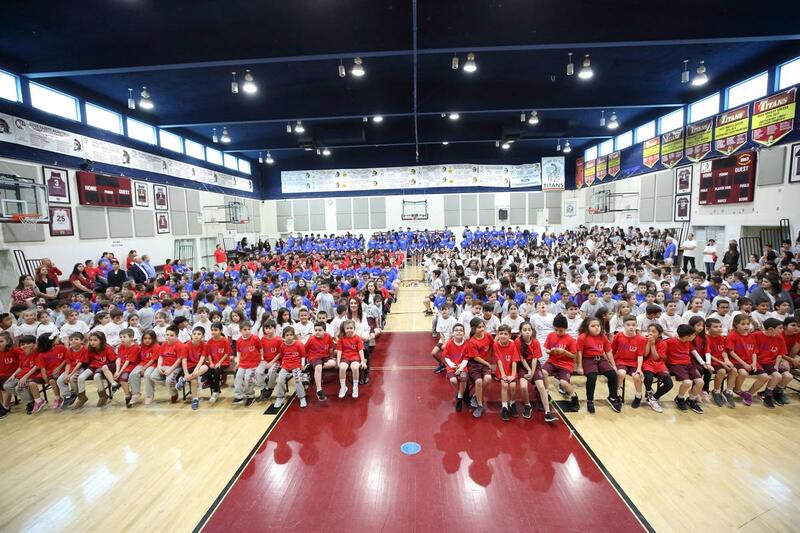 Then it was time to celebrate as the students from both schools competed in friendly athletic games, chiefly basketball, volleyball, and soccer as Armenian music played throughout the school. 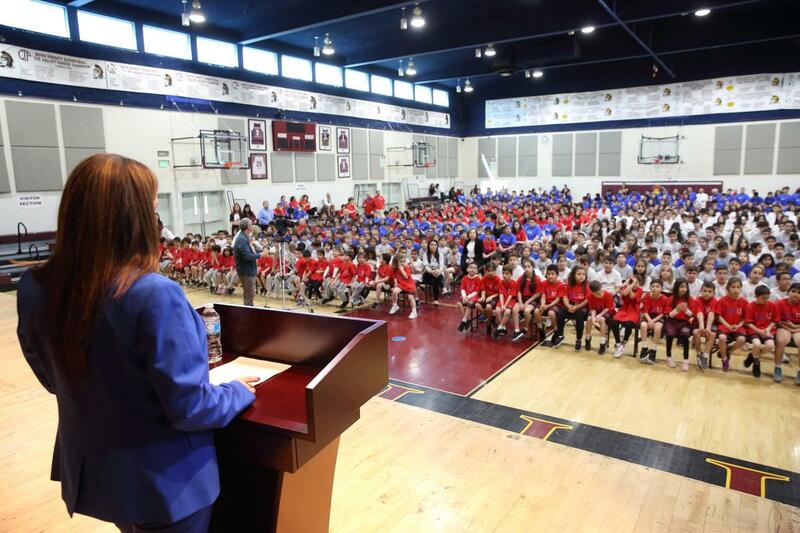 Finally, it was time for the closing ceremony where Principal Arpi Avanesian, Vice Principal Anahid Nalbandian, and Preschool Director Takoush Khodabakshian or AGBU Manoogian-Demirdjian School and Pricipal Michael Pratt of AGBU Manoukian High school released 113 balloons to mark the 113 years of AGBU's history. 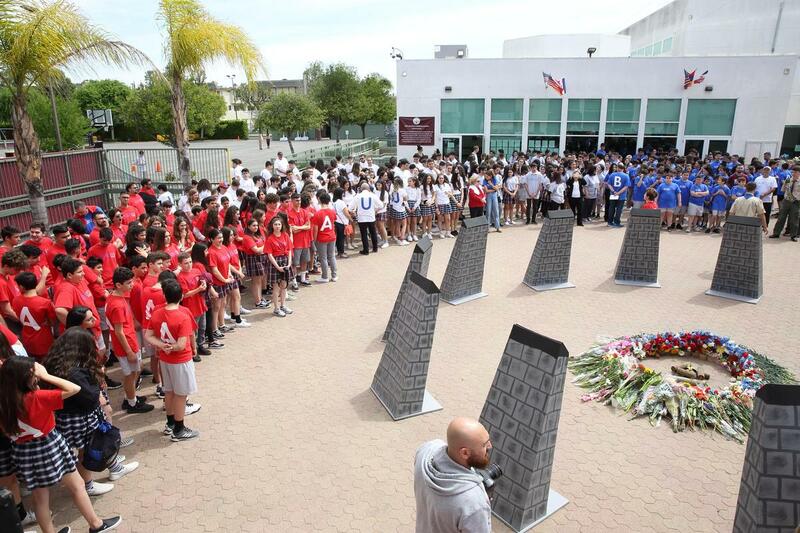 We are forever grateful to the founders of AGBU for their vision, leadership, generosity, and support of Armenians all over the world, which continues to this day. For more photos of the day click here.